(1). Take clue from this. JAMB: fully computerized. WAEC: To be fully computerized soon. NECO: Same. Do you think dynamic parents would leave their wards with Non-IT Compliant School? (2). In 1789, Haiti has the highest GDP per capital in the world. In the mid-20th century, Haiti was the poorest country in all the Western Hemisphere. WHY? Failure to move along with the then industrial revolution. Now, there is educational revolution. EVERYTHING ONLINE. Are you sure you will not be left behind? During the press conference to announce NOKIA being acquired by Microsoft, Nokia CEO ended his speech saying this “we didn’t do anything wrong, but somehow, we lost”. Upon saying that, all his management team, himself included, wept bitterly. They missed out on learning, they missed out on changing, and thus they lost the opportunity (offered cheaply by Android) at hand to make it big. Not only did they miss the opportunity to earn big money, they lost their chance of survival. Yes, Nokia is back now. Just embracing the opportunity once offered by Android. The question is: When will they get back to where they left, not to talk of leading the market? School link is built purposely to make our school management software available to School administrators who cannot affort the cost of stand-alone program and yet desire efficient and highly secured portal. On SL, Administrator, Teachers, Parents and Students have access to all necessary information even without leaving the comfort of their rooms or offices. 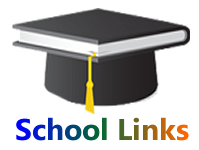 School Link Keeps parents updated with attendance, behaviour, continuous assessment, library information, transportation and assignments. It eases school fee payments. SL reduces administration resources, improves transparency and consequently saves costs to boost profit . Customer satisfaction is our delight. Our long term vision is to be the world's best agent of educational development through provision of condusive enviroment to school stakeholders, measured by the value we deliver to our school administrators, teachers, students and parents. Our mission is to deliver high quality software engineered solutions to the educational institutions by maintaining the highest employment standards, activating our collective potential and living our values.